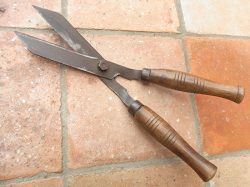 English Vintage Ladies Hedging Shears. Steel blades and beech handles. 14 inches (36cms).